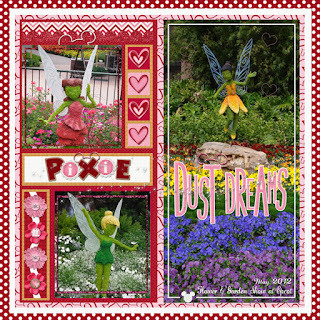 I just completed a Template Challenge at MouseScrappers hosted by Michelle at Mad for the Mouse. I used her new kit, Head Over Heels, being released on Thursday, February 14th. Be sure to keep a watch on my blog for the Sneak Peek! Thanks for dropping by ... wishing you Pixie Dust Dreams!